The dashboards have been improved to help monitor traffic to and from suspicious countries, and monitor real time device configuration updates in addition to login activity. Two reports have been added to provide information about traffic to and from suspicious countries. Additional rules have been added to support the updated dashboards and new reports. Manage heterogeneous Firewall devices from many vendors and many versions. Centralized repository for all the collected Firewall logs. 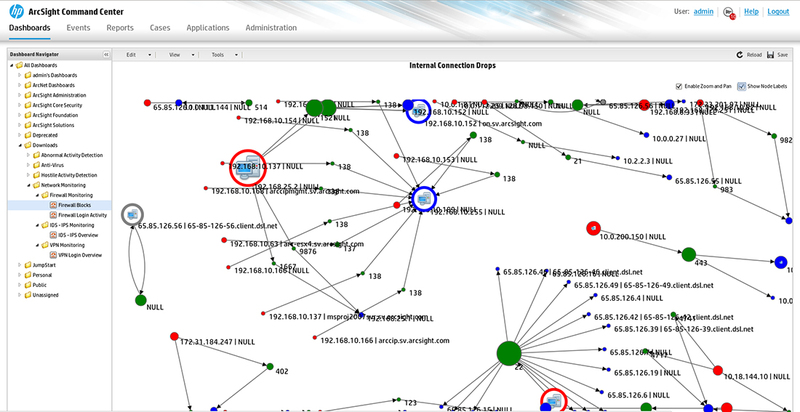 Quick forensics on Firewall logs correlated with user and apps data. Dashboard and Active Channels for Firewall analytics use case. Visualize top denied destination ports and hosts. Analyze failed and successful logins to a Firewall device. Internal and external traffic on the network that is blocked by a Firewall.